Scotti Smith, a Capital Regiment soprano player in 2003, sent in this one. "From left to right, this is Randell, Scotti (me) and Abby. 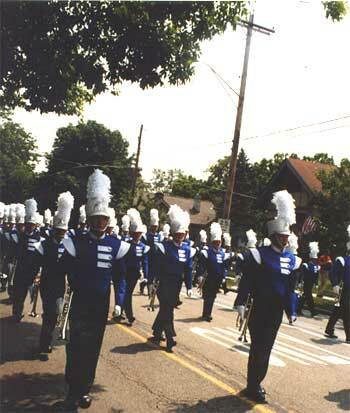 This is Capital Regiment marching in the Westerville Fourth of July parade. My hometown! It was an extremely long and hot parade, but for some reason it was one of the coolest things that happened to me this summer."